Form: Small, low-branched tree developing a rounded to broad-rounded crown. Use: Effective single specimen or in groupings at Borough gateways. Full sun to part shade. Not for use as a street tree. Limitations: Too delicate for challenging urban street conditions like Bloomfield Avenue. 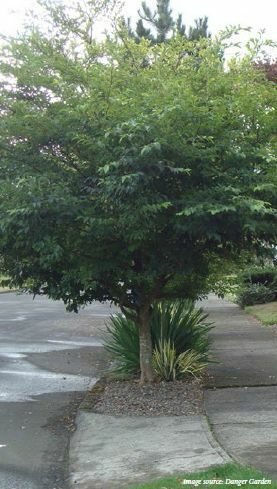 Needs to be prune and limb when planted close to street or walks. Where can I find this tree in Glen Ridge? Unknown. Japanese Snowbell was not identified on the 2013 tree inventory.